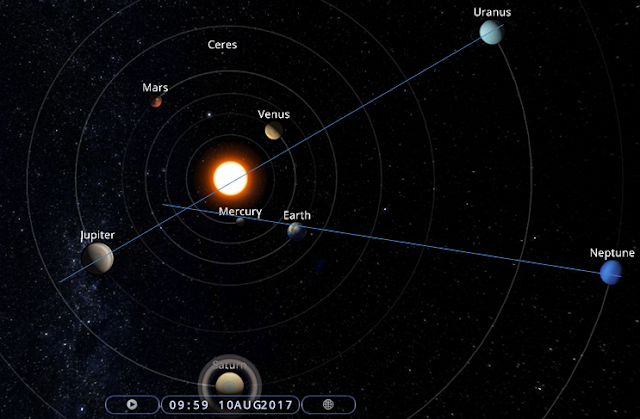 This is the Heliocentric View of the planets today. Neptune - Earth - Mercury alignment comes along, with the old Jupiter Sun Uranus in the background. Also Earth today is semi-sextile to Pluto. Geocentrically we have Mercury sextile Venus, Mars quincunx Neptune and Jupiter square Pluto. Also the Sun is sextile Jupiter. Not a quiet day it seems.